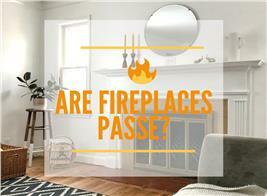 When you think of the Hamptons, Martha’s Vineyard or Cape Cod, what architectural style comes to mind? 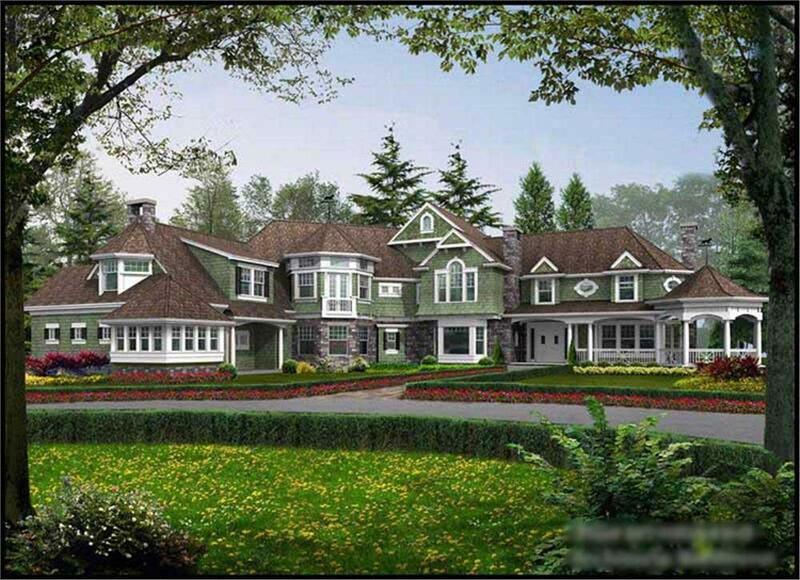 Most likely it is the New England Shingle Style home. Popular throughout the United States for their casual style, shingle house plans have typically unadorned exteriors of natural shades that blend with the outdoors. Their weathered, wood shingle exterior siding and often irregular floor plan, give shingle style homes a warm and inviting feel – that is simply perfect for a summer day. The earliest shingle style homes originated in the 1880s and 1890s in seaside resorts of the East Coast. Designed as summer homes for the wealthy, they were, most often, estates with six or more bedrooms. The homes were rambling, spacious, and ideal for large families, and also for entertaining and accommodating guests. While other architectural trends of that era tended toward the elaborate and ornate, shingle style homes went for the rustic, relaxed and informal look. The four-bedroom plan (right) (# 115-1404) comes with a spacious kitchen, dining room, nook, a great room and a rear terrace/porch/patio - perfect for entertaining. A private den – which can be used as a home office, a reading or studying area - is at the front of the house. 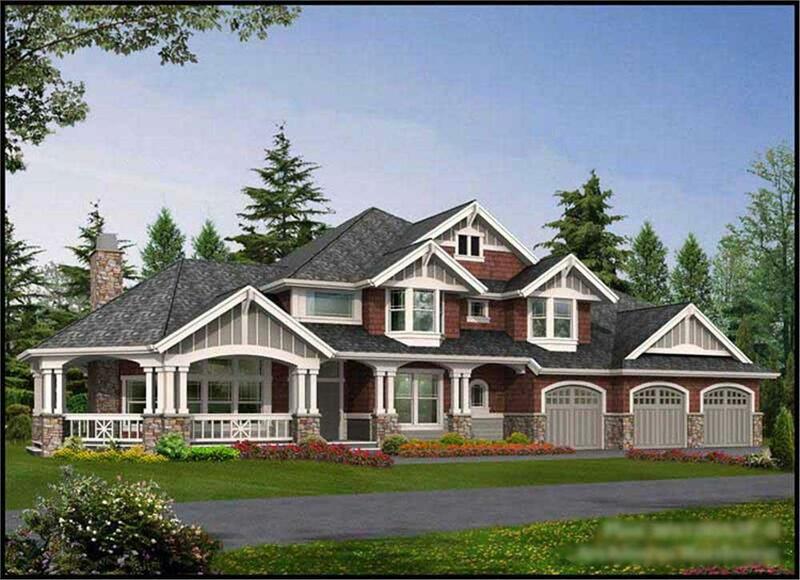 Check out the asymmetrical rooflines, contrasting shades of roof and wall shingles, windows, and the landscapes of the two-story, four-bedroom home above (Plan #115-1415) ... and below. Built on a slope, the three-bedroom plan (# 115-1413) includes an elevated balcony/gazebo, foyer, den, an open formal living room, kitchen, and a family room with fireplace. 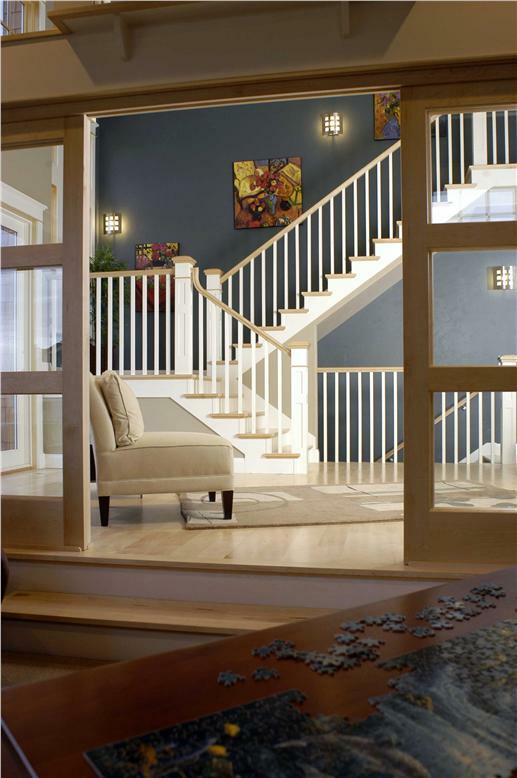 The upstairs has the master suite, two bedrooms, and a bonus room. This open floor plan leads to a rear patio/terrace through glass doors … and on the inside, a set of sliding doors leads to the kitchen/dining area (Plan #161-1038). Described as the “first modern American house style,” the shingle style house plan looked to earlier Colonial home architecture for inspiration in some of its structural elements. One of its major pioneers was John Calvin Stevens, who designed hundreds of buildings in Maine in the shingle and Colonial Revival styles. Stevens, who could not afford to enroll at MIT, instead worked under the tutelage of Maine architect Francis Fassett and then established his own firm. In 1889, Stevens illustrated a study on the shingle style called Examples of American Domestic Architecture. Among his many designs was the studio/home of Winslow Homer, the great American landscape artist. Stevens worked on the carriage house on Homer’s property in Prouts Neck, Maine and created a comfortable home, whose most unique feature was a balcony that ran the width of the building. From 1884 until his death in 1910, Homer lived in this house – it was here that he painted many of his masterpieces. Other leading architects - among them Frank Lloyd Wright, Stanford White, Peabody & Stearns, and Charles McKim (of McKim, Mead & White – also worked in the shingle style. They adapted the simplicity of the Colonial style with the addition of large porches and bands of horizontal windows. They also took advantage of the flexibility of the shingle to incorporate curves and rounded dormers in their designs. 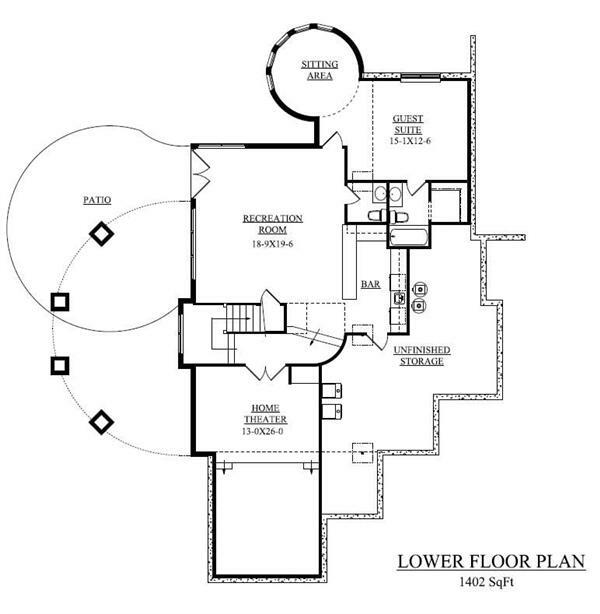 The less formal exterior of the shingle style plan allowed for a free-flowing – and open – floor space. The rows of windows allowed for plenty of light and a more irregular and casual layout of rooms. The rooms could now open out onto the covered porches – bringing the outdoors in. 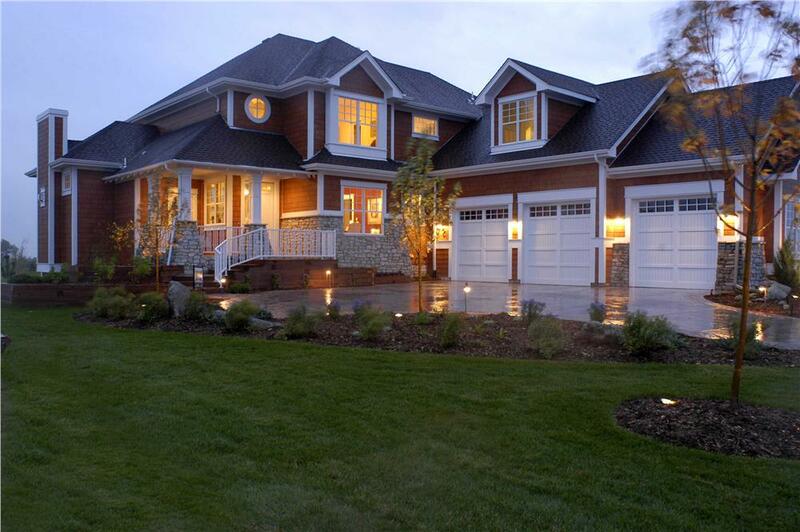 The overall look was a more informal yet also graceful home design. Kragsyde Mansion – considered the finest creation of Peabody & Stearns – was commissioned by wealthy Bostonian George Nixon Black, Jr. in 1883. Built on a headland in Manchester-by-the-Sea (Massachusetts), the mansion was demolished in 1929. A shingle style house on the scale of Newport and Cape Cod mansions: This two-story, five-bedroom design (#115-1414) includes a covered porch, gazebo, five full baths, five fireplaces, and abundant windows for breezy days and nights. 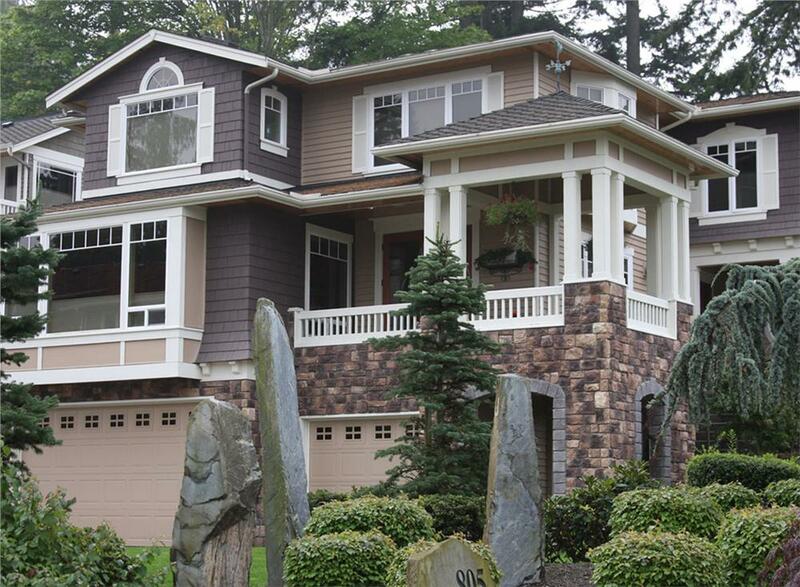 Many shingle style homes are of a scale that is impractical for most families. However, the elements of an inspiring shingle style house design can be created in simple and more affordable designs. Since the earlier shingle style home plans, architects have adapted the style to take advantage of newer materials and include current homeowner preferences. 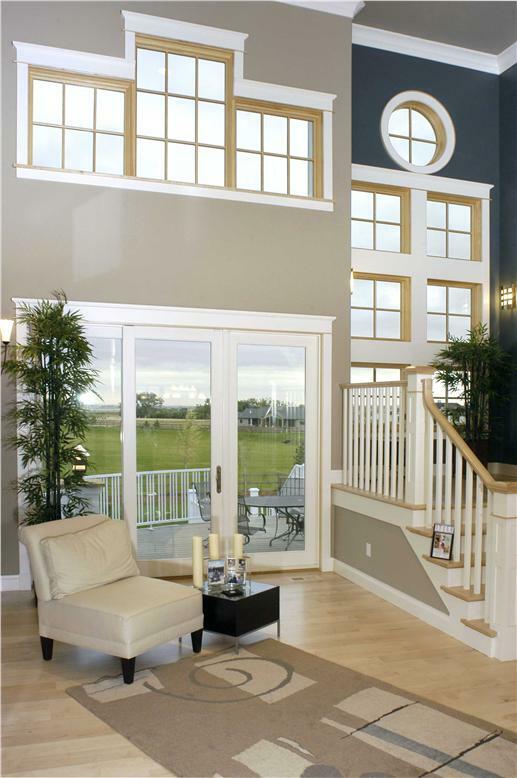 Bay windows and vaulted ceilings are not uncommon. 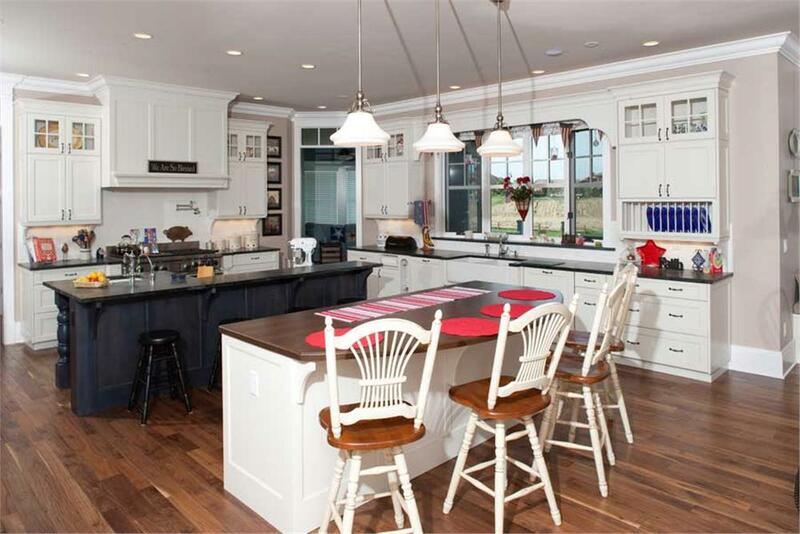 Large kitchens with layouts that are open to the family room and dining area are especially popular and work surprisingly well with shingle style house plans. 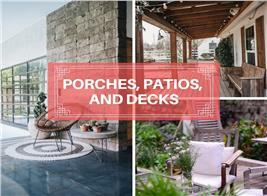 Outdoor bar-b-q porches are a natural extension to the dining and entertaining area. 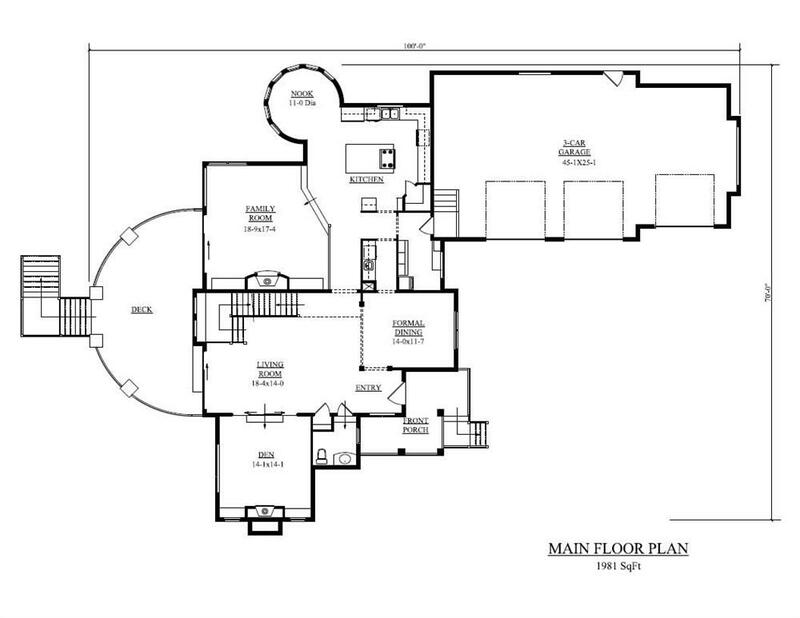 This spacious kitchen opens to the backyard and family room (Plan #161-1044). The original two-story structure is also morphing into three stories to accommodate the needs and expectations of families. Some homeowners are now adding second-story terraces, patios, multiple porches, and pergolas to their shingle style homes. This four-bedroom shingle style home (#161-1038) is designed to take advantage of larger windows, higher ceilings and an open floor plan. 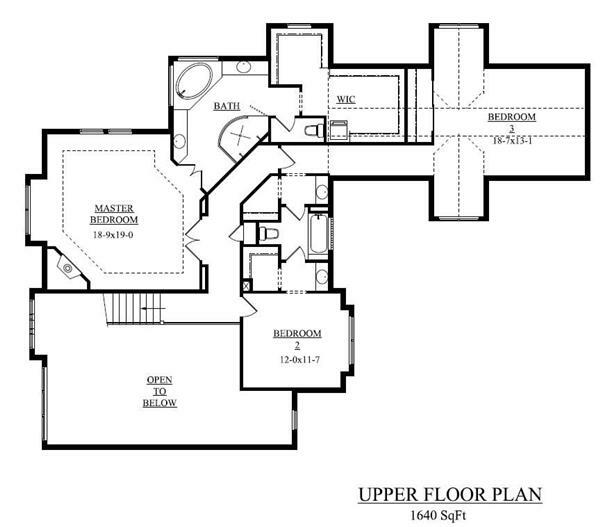 Check out the three-story floor plan below – with all the amenities. This two-story, four-bedroom home (#115-1465) captures the essence of the shingle style plan – a wide porch supported by split columns, windows around the home, and the traditional irregular shape. 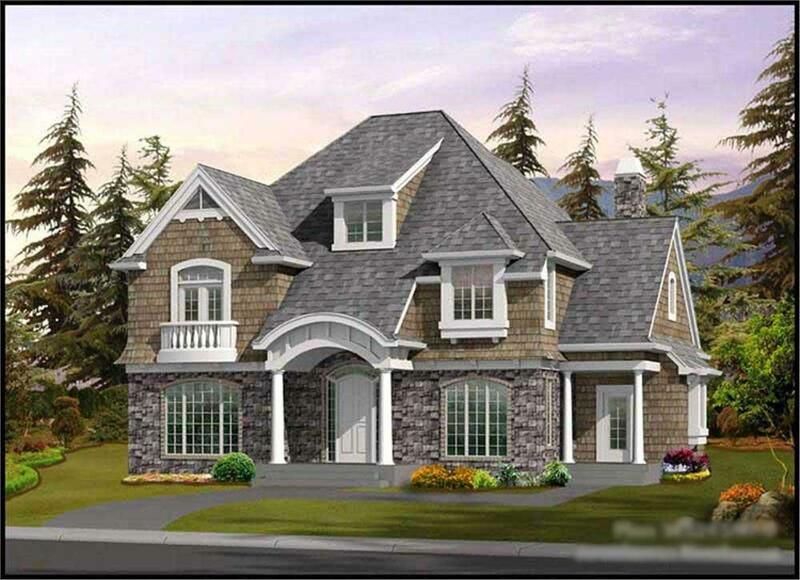 To get a better sense of the style, view a collection of Shingle Style house plans at The Plan Collection. These house designs include both luxury and affordable Shingle Style homes by a number of architects and designers with experience with this distinctive, American architectural style. 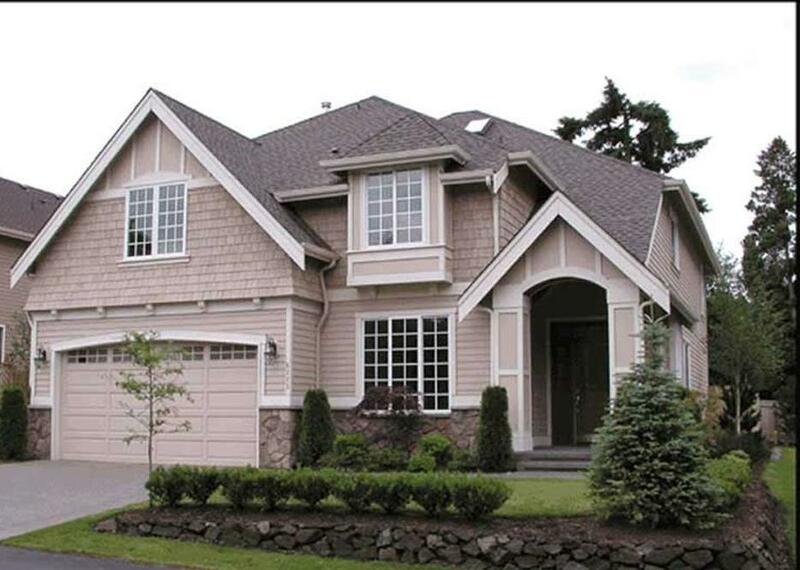 What is your favorite architectural feature in a shingle style home design? Footnote: The lead image is of a charming Shingle Style house with 4 bedrooms, 3 full bathrooms, and 1 half bath. 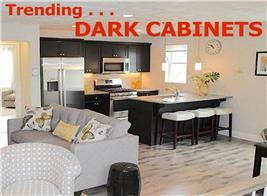 For more information, see Plan #115-1465.